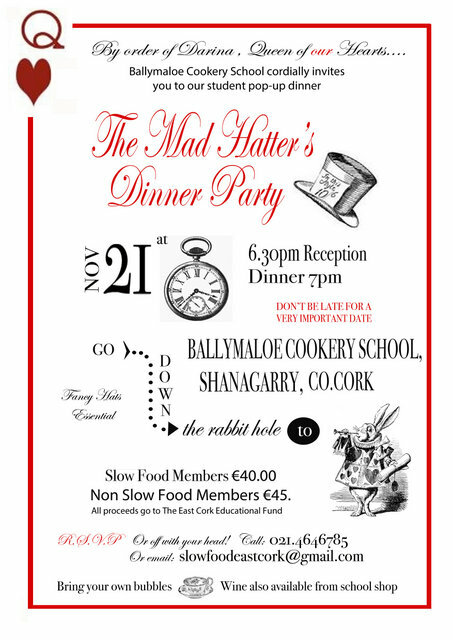 Sat 21st November at 18:30 with Slow Food Ireland. BYOB! (Wine available for purchase from the cookery school shop).